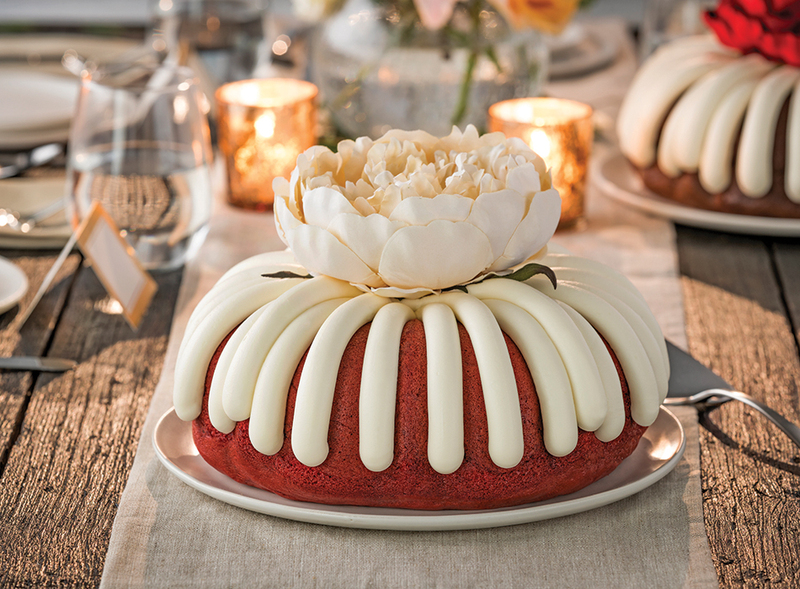 Nothing Bundt Cakes offers gourmet bundt cakes in four sizes, ten flavors, and over 40 different handcrafted decorations for any occasion. We provide our guests with the highest quality cakes, superior service, and creative solutions in a warm and welcoming environment. 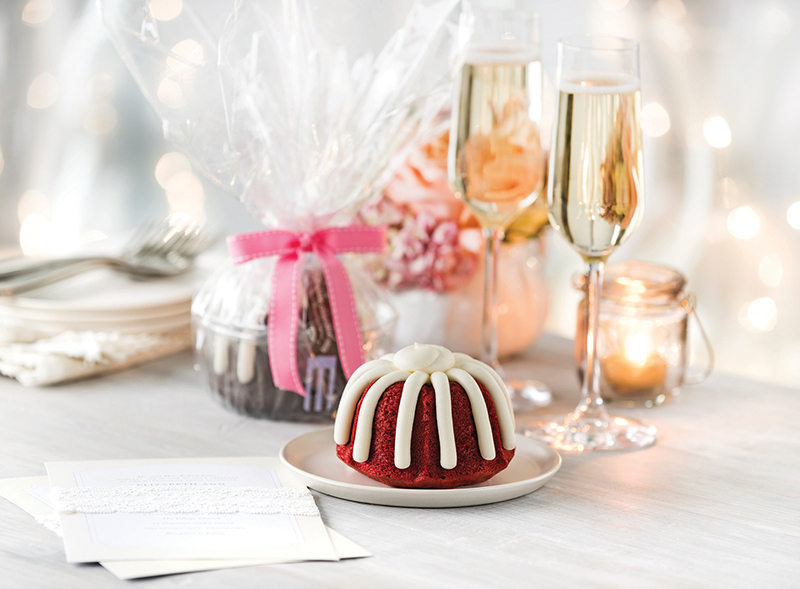 Once you taste a Nothing Bundt Cakes bundt cake, you’ll agree that it’s the best cake ‘round. We love to bake cakes for weddings and showers and think they will be the perfect dessert for your big day. 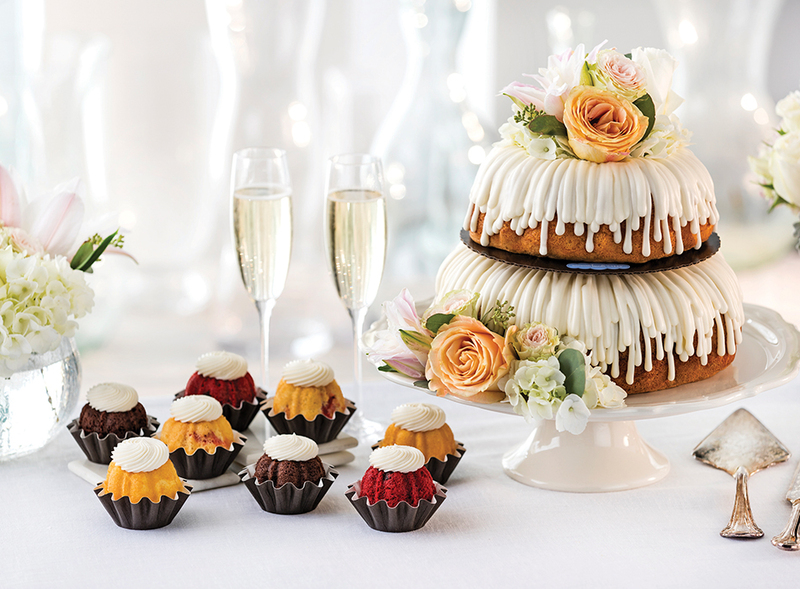 We offer single and two-tiered cakes as well as bite-sized bundtinis and personal sized bundtlets. Our store has samples available and we offer wedding cake consultations for the engaged couple. Receive a complimentary dozen bundtinis in the flavors of your choice when you schedule an appointment. Couples may rent our bundtini tower which holds up to six dozen bundtinis for $25/event with a $75 deposit.